The room and hotel facilities were very good. You can get to all the main tourist areas and the airport easily. Some areas e.g. some shopping, Dhow boat cruise wharf, supermarklet's by foot or very short cab ride. Staff were excellent and helpful all-round. Don't buy tours at the hotel as it costs much more. The only negative is that the hotel is used by some for professional ladies after about 10 pm. The hotel is of vintage european interiors but definitely NOT outmoded.. Hotels with recent/modern designs abound which thus makes this hotel a rarity and above the ordinary ones. The friendliness of the staff, classy ambiance and fragrance everwhere are its most valuable assets. It’s also a plus factor that there are nearby convenience stores. Tour operators pick up and bring back guests right at the doorsteps. Airport is just about 10 minutes away. I give this hotel an excellent overall score and 100% value for money. Highly recommended indeed! The room had good facilities except for heater which was missing. Otherwise, the staff were very kind and quick with their responses and were also kind enough to show us the way to the nearest metro station. Wish it was closer to deira city center mall . I as think breakfast should be included when you book a room . I booked this hotel expecting 5 star service and motivated by the location however, the staff took long time for designating the room for me. I was given smoking room although I asked for non smoking room due to my health condition. Secondly, I asked in the booking for higher level room and again I was given a lower level room. Thirdly, th noise out of the window since I was given a room near to the main road furthermore, the noise from night clubs were high. I don’t know why the staff are challenging the customers? Because as I was waiting for my check in and check out all customers were having the same process as me. Please change the policy of challenging the customers. We stayed here over the new years and this was the 3rd time we are staying here, so knew what we were expecting. This hotel is in Deira just 10 mins from the airport and has some great shopping malls and restaurants just 5 mins walk away. Rooms are nice and traditional though could do with a refurb as seen in the bathroom were tiles were getting mouldy. Breakfast was good and what you would expect from a hotel of this star. 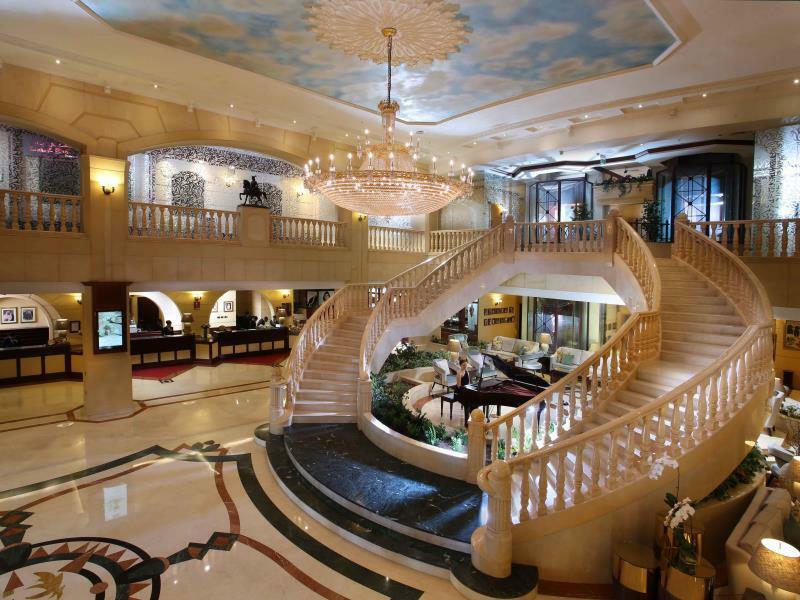 Lavish reception area and staff are helpful. We had a problem with air conditioning and this was rectified within minutes. Overall a great stay. Manger Mr. Ahmed Jordanian was very polite and resolved all previous visit issued, up grade us from deluxe room to executive and provide us with complementary breakfast. Our checkout was carried quickly with smooth way. สถานีรถไฟใต้ดิน Al Rigga - ระยะ 0.51 กม.